It does exactly what it says on the tin. 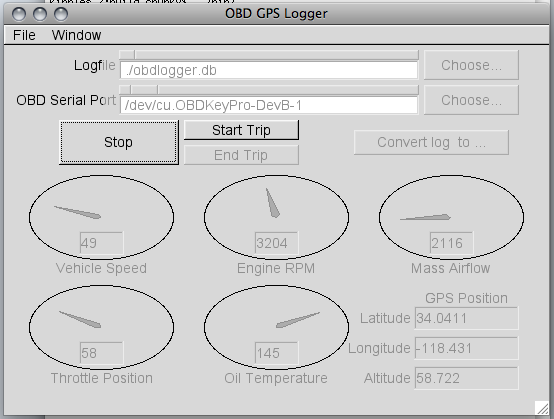 It logs OBDII and GPS data on Linux, OSX and others. If you find obdgpslogger useful, please don't hesitate to drop me an email at chunky@icculus.org and let me know of any success, failures, or questions you might have! OBD GPS Logger comes as a bunch of small tools, each intended to complete a single task. I list these modules on a page of their own. Of specific mention is an OBD II Simulator, which has been given its own page to explore some of its features. 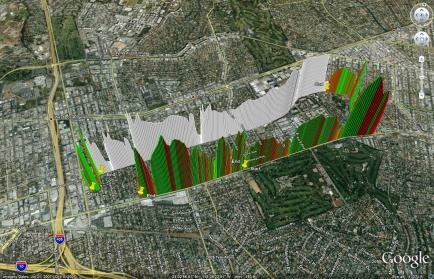 Click each screenshot below to take you to a page with higher resolution images, the logs, and the final output files. 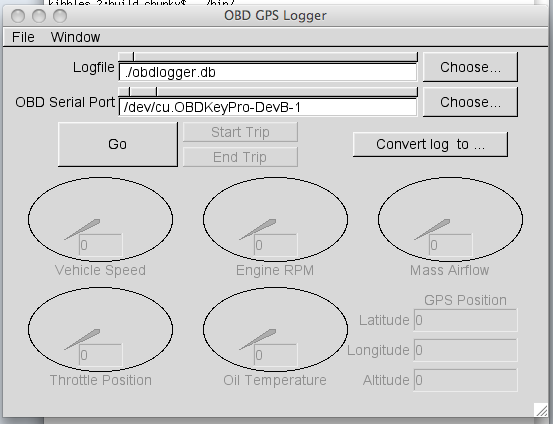 obdgpslogger is actually a small group of command-line applications, and a UI that can be used to launch them. 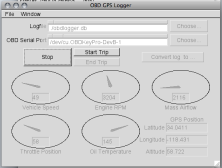 The UI is entirely optional, and the full capabilities of obdgpslogger are available without any graphical systems even running. Your car has lots of interesting things it can tell you from its on-board computer while it's running. Things like how fast you're going, how fast the engine's going, the air flow into the engine, the throttle position... everything. 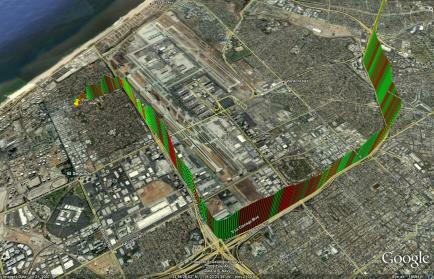 If you want to know more, google obdII, and enjoy the rabbit hole. As with so many open-source projects, this is scratching an itch: There's a severe lack of applications that run on OSX or Linux that can log OBDII data. The core interest in this application is OBDII. To log from OBDII, you'll need an elm327-compatible device [ie, "all of them"] plugged into your laptop and presenting itself as a serial port device. Just about anything you can find on the internet that says "elm327" and has a plug that fits a hole on your laptop should work. Can it hurt my car? OBDII is purely a way to get diagnostic information from the car. The only thing that could be classed as "writing" to the car's computer through the OBDII port is clearing diagnostic codes - which the engine dutifully sets again if whatever-was-wrong is still wrong. What do I do with my "logs"? Included in the distribution is a program called obd2csv. This reads the database generated by obdogger and exports it to a CSV file with a couple extra useful columns pre-calculated. 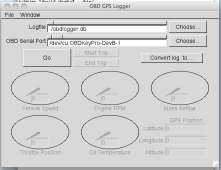 Then open obdlogger.csv in your favorite spreadsheet to use as you please. 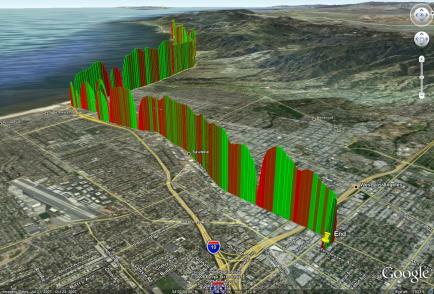 GPX is a standard format for GPS data. 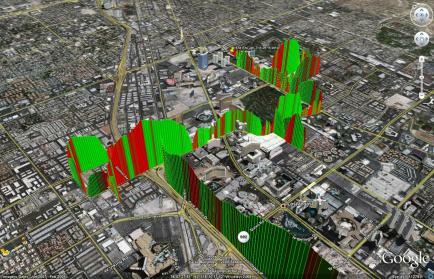 You can upload it to openstreetmap among others, and many tools recognise it. Longer, opaque version: I have run it on ARM Linux, x86 Linux, x86_64 Linux, PPC Linux, PPC OSX 10.4, Intel OSX 10.4 and 10.5, various flavors of Cygwin. Most modules work under MSYS, except the logger itself. COPYING. The license is GPLv2+. At time of writing, packages are available through your distribution if you're running Debian Sid or Testing [will be in Wheezy], Ubuntu Oneiric, or Arch AUR. OpenSolaris spec files are in the svn packaging, but Oracle have killed Jucr so I no longer have an easy install path for end users. Packaging is in progress, but not yet official, for Fedora, OpenSuSE, and Meego. That may have changed by the time you read this. I strongly suggest installing gpsd first.